My family used to have a hyperactive dalmatian (really, he was on Ritalin) named Scooby. He would run away everyday, and we would have to run around the neighborhood trying to catch him (or find him for that matter). If you’re a dog owner, I’m sure you’ve experienced similar find and chase moments with your beloved pup. Or, maybe you wish you could just track Fido’s activities throughout the day. Well, wish no more. Tagg is here. 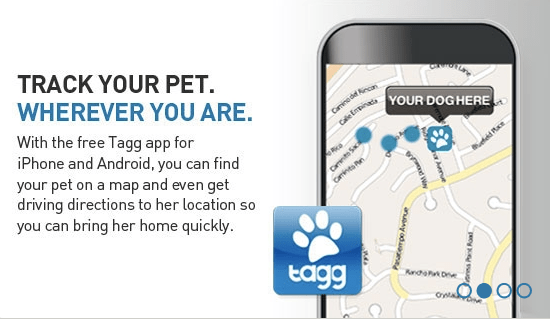 Tagg pet tracker system lets you track your pet’s location and activity straight from your computer or mobile device and sends you a text or email in case your dog makes a dash for it (unlike a microchip). No more running around screaming “LUCY, SPOT, FIDO!” Does anyone name their dog fido or spot anymore? And, no more “Lost Dog” posters. You can find exactly where your dog is the minute he gets loose. And, the tracker is lightweight and attaches to your dog’s collar to be worn at all times. Even if he jumps in the pool. Tagg allows you find your dog’s location on their coverage map which is nationwide in the U.S. Besides making sure your dog gets home safely, Tagg also makes sure he’s getting enough exercise. The Activity Tracking helps you monitor how active your dog is so you can be a vital part of his health. 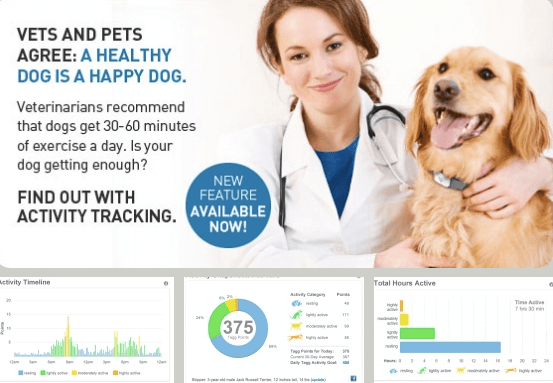 And Tagg provides you with detailed activity charts to share with your pet’s vet. Set up your Tagg zone, the “geofence” that shows where your dog spends most of his time. After that you’re on your way to Fido’s location-tracking and activity monitoring. People love their pets. Like really, really love them. And they should, (but if you’ve ever been to Chelsea in New York City you might find the level of love unhealthy). And did you know that 10 million pets are lost per year? That’s a lot of love lost. Avoid your pet becoming a statistic and get Tagg. The question is can they make one for humans? I know some women who would love to have one of these puppies (no pun intended) for their significant others. Yes, we are crazy.